At the beginning of the year, we asked for insights from a crowdsourced panel of close to 100 global financial services leaders on the future of retail banking. How close are their predictions to reality at mid-year? Six months ago, we surveyed a panel of close to 100 global financial services leaders for their thoughts around 2016 retail banking and credit union trends and predictions. The crowdsource panel including bankers, credit union executives, industry analysts, advisors, authors and fintech followers from Asia, Africa, North America, South America, Europe, and Australia. 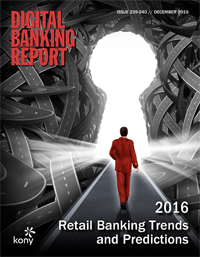 These exclusive interviews, along with in-depth analysis, case studies and trend data were included in the Digital Banking Report, ‘2016 Retail Banking Trends and Predictions‘, sponsored by Kony, Inc. This year’s projections included discussion around the partnership potential between banking and fintech start-ups, improving the consumer experience, better use of data and analytics, changes in the digital payments landscape and a focus on innovation and the integration of advanced technologies. How much progress have we made, six months after our crowdsourced panel provided their insights into the future of retail banking? The first four of the trends were trends mentioned by the majority of our panel. Not surprisingly, these trends have had the most written about them over the past 6 months and have seen the most activity from banks we follow … regardless of size or global location. As could be expected, the impact of the other trends has differed by region and size of institution. Consistent with prior years, the panel has been relatively accurate on their list of top ten trends so far, with the expansion of digital payments having the most questionable impact (certainly in the US). This was also been the case in the previous two years, where optimism by the panel around payments has been negated partially by the realities of the marketplace. As was mentioned in the Digital Banking Report, the banking industry continues to be playing ‘catch-up,’ and the potential for a legacy financial institution to be left behind or consolidated is increasing as consumer expectations escalate and margins remain thin. 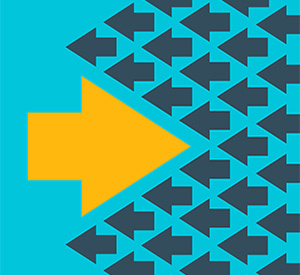 For many organizations, there is still a perfect storm of competition, technology, shifts in customer behavior and regulation that are impacting business models. Banking is being reinvented, in real time, by necessity. Most senior bankers and fintech executives agree with our panel’s number one trend for 2016 … that fintech firms will have a significant impact on the future landscape of banking. In a report published by the Economist Intelligence Unit titled, ‘The Disruption of Banking,’ it was found that there was a strong correlation between the strengths of banks and the weaknesses of fintech, and, conversely, the strengths of fintech and the weaknesses of banks. Fintech firms need the scale of customers, level of trust and stability, regulatory experience and access to capital. that the banking industry possesses. Alternatively, legacy banking organizations would benefit from updated core systems, an innovation culture, agility, ability to recruit needed talent and the technological expertise that fintechs are known for. These complementary needs, combined with increasing consumer expectations, has made the trend of partnering much more of a common occurrence in 2016. For larger banks, there is usually a balancing between partnering with start-ups and internal innovation, as referenced in an article from the Wall Street Journal. Alternatively, smaller banks and credit unions have found ways to partner with fintechs as mentioned in The Financial Brand article, “How Small Banks Can Partner With Fintech Firms“. I also discuss the partnering trend in an interview I did with Accenture. There is more attention being paid to the customer journey in banking than ever in the past. Not only how consumers make their buying decisions, but the channel(s) they use during the process. No longer is the beginning of the journey spent in a branch, looking at brochures and hearing a sales pitch from a platform employee. Instead, the journey almost always begins online, with the use of comparison tools, word of mouth recommendations and advanced analytics that impact the consumer during their decision process. Transcend organizational silos to internalize customer centricity throughout the business. According to BCG, some banks that have taken these steps have increased their revenues by 25% and their productivity by 20% to 40%. There may not be any topic The Financial Brand has covered in 2016 as much as the need for an improved digital account opening process in banking. In a series of articles already this year, we emphasize the importance of enabling the consumer to complete the entire account opening process with a mobile device. Bottom line, it is illogical for a potential new customer who has done their entire search using a digital device to be required to enter a branch office to complete a purchase. Competing priorities. Such as addressing regulatory changes in the wake of the financial crisis. IT complexity. Because of multilayered systems and siloed data, banks rarely use the full breadth and depth of data at their disposal. Lack of coordinated vision. Resulting in suboptimal allocation of human and technical resources and limited interaction and exchange of ideas. The risk of falling behind in leveraging consumer insights has never been greater since consumer expectations are rising. The majority of these expectations are being set by non-financial competitors. The good news is that the industry acknowledges the need for improved analytics, We will see how many firms have embraced applying the insight at the end of the year. Beyond multichannel (delivery on multiple platforms), or omnichannel (delivery through all channels similarly), an ‘optichannel™’ experience delivers solutions using the best (optimum) channel based on the customer’s need and preferred channel. In other words, rather than offering all channels for a specific solution, big data will enable an organization to point the consumer to the channel that will provide the best, personalized, experience. 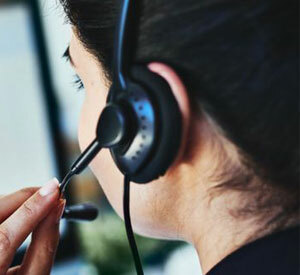 A global survey fielded in tandem by Cognizant, Marketforce and Pegasystems showed that financial institutions are desperately working to deliver a positive experience across channels, but they largely remain adrift in a sea of new innovations and evolving consumer expectations. For financial services organizations seeking to emulate the customer-obsessed experiences pioneered by digital leaders like Amazon, the opti-channel trend will increasingly become table stakes, as consumers continue to fuse their online and physical experiences. 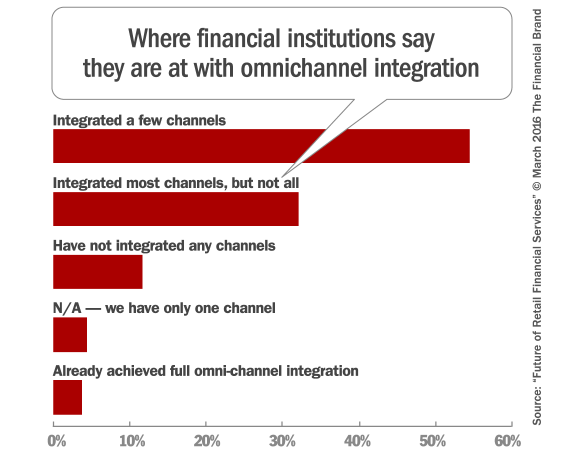 Banking providers realize that integrating channel experiences is the road to success, and the vast majority are now investing heavily to close the gap. More than half (53%) believe they will achieve full omnichannel integration within two years, and 89% will get there within five years. 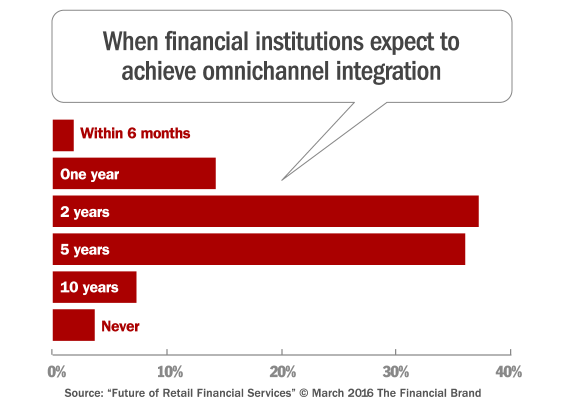 Somewhat contradicting this confidence in an omnichannel strategy, only 64% of financial institutions say they believe a digital-only model is viable. More and more of the digital consumer base (especially Millennials) are using digital payments at the stores and restaurants that accept it. In addition, mobile P2P payment solutions like Venmo, (a digital wallet for transferring money from one person to another), are used to split payment for meals, rent, groceries and other bills. These trends on the surface appear to illustrate the ongoing shift toward new digital payment options, a change in behavior that has been thought to forever change the consumer banking industry. At the same time that certain digital payments solutions have experienced growth, other alternatives are stagnating or even failing. The entire EMV chip conversion has been far from a resounding success. Apple Pay has had a drop in awareness, adoption and usage. And Apple Pay’s competitor, CurrentC, has stopped testing their solution and are closing accounts. Nearly everyone thinks that digital payments are important, but only 13% view it as strategic priority, aim to lead and invest accordingly. 63% aim to be fast followers and another 23% only invest to stay on par with peers. 71% of participants in the survey agree that financial institutions (FIs) should offer branded digital payments (e.g. own digital wallet), but they are more likely to participate in third party wallets, such as Apple Pay, Android Pay and others, than to invest into their own HCE wallets – 46% have no plans for HCE. So, as has been the case for the past 3 years of the Retail Banking Trends and Predictions survey, digital payments continues to be a ‘wild card’, with industry ‘buzz’ far overshadowing the realities of the marketplace. As banking becomes more aware of the need to introduce next generation products and refresh their brands to compete for digital consumers, some are beginning to partner with fintech start-ups while others are developing their own innovation cultures from within, hoping to create a lasting competitive advantage. If you can’t beat them, buy them: Many banks have been actively investing in or absorbing startups. It will take a while to know whether this approach works, due to potential clash of cultures. Become a startup: A number of banks are examining the methods employed by tech leaders like Amazon, Spotify, Google and Zappos, to imitate their prowess at innovation, flexibility and speed to market. Start competing with yourself: Advocated by Harvard professor Clayton Christensen in his book, The Innovator’s Dilemma, this stance suggests that the banks’ digital channels can compete directly with branches and independent financial advisors. Most banking organizations are not comfortable with the potential disintermediation of accounts and customers (even though into their own product/service). Lobby for tighter regulations: One of the most talked about government documents published in the first half of 2016 was the OCC report, “Supporting Responsible Innovation in the Federal Banking System“. This perspective could be a short-term solution … if a ‘solution’ at all. The OCC is not the only organization lobbying and using this strategy. Banking has been exceedingly slow to invest in modernising their infrastructure as it focuses on delivering a better experience through digital channels. Despite this foundational need to ‘fix’ the back office, several organizations are diverting some attention (and in some cases taking action) on a number of futuristic technologies in the first half of 2016 (Blockchain, AI and AR, biometric authentication, robotics and the Internet of Things (IoT). At the vast majority of institutions, outdated core systems are hindering the ability for organizations to become full-function digital banking organizations. Despite the understanding of the importance of transforming the back office, the cost, time and perceived risk of this transformation leads to either piecemeal solutions or putting core systems upgrades on the back burner for many banking organizations. 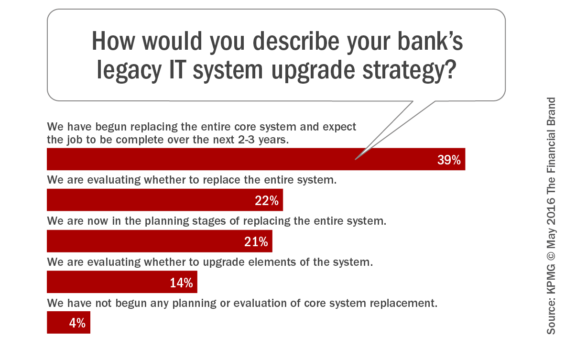 This inactivity surrounding core system upgrades is reflected in the 2016 Banking Industry Outlook, published by KPMG, where only 39% of respondents reported having begun the process of upgrading, 22% evaluating whether to replace their entire system and another 21% in the planning stages. The perpetual stalling of legacy core system upgrades is an underlying red herring in the belief that organizations are prepared for the digital future. While analysis from KPMG indicates that “challenger banks” (mostly in the UK) are outperforming incumbent banking organizations on growth, cost-to-income and return on equity, the challenge that is normally presented is that none of these new organization have scale enough to significantly impact the market dynamics. As they march to stronger profits, legacy big banks are stumbling on remediation costs and structural issues. And despite a more accommodating regulatory environment in the UK than the US for new banking organizations, some believe the ‘golden age’ of challenger banks may already be over. On the domestic front, Chris Skinner has gone as far as to say that current US regulations completely strangle both innovation and the potential for new banking entities. Despite this negativity, some organizations have found a way to impact the consumer banking experience. A recent partnership between TD Bank in Canada and Moven in the US has created the MySpend Money Management app, which has been ranked first in both growth and user experience since introduction. Unlike a challenger bank, this type of partnership has integrated the power of a legacy banking organization with the customer experience provided by an innovative start-up. It will be interesting to see the ongoing growth and business strategies of other new banking organizations as they expand their offerings. It should come as no surprise that the banking industry faces stiff competition when it comes to attracting and retaining the kind of talent they need to meet the evolving needs of customers in an increasingly digital world. Competition from inside and outside the financial services sector for candidates with technical skills is made worse by the reality that working for a legacy financial institution doesn’t usually bring the pay, work flexibility or ‘fun’ of a non-banking job or an opportunity at a start-up fintech firm. As mentioned in an article by the Globe and Mail, “Greater learning opportunities, less red tape and the chance to work on problems they feel genuinely passionate about are some of the reasons cited by those who have ditched jobs in traditional financial institutions for a role at a tech-savvy startup.” But, while Millennials may be the first generation to throw up real recruiting challenges, particularly for the banking sector, they are the generation, if properly harnessed, that is most likely to provide financial institutions with the talent to make the monumental shift away from the traditionalist roots that appear to be weighing the industry down. Analysis of recent and pending banking regulations within any single country or globally would end up becoming a morass of description, discussion and disagreement. One thing has become apparent over the past two years however … governmental organizations at all levels are playing ‘catch up’ as much (if not more) than the organizations they are supposed to regulate. This makes it exceedingly difficult for banking organizations to manage daily business let alone plan for the future. Despite the confusion regarding the goals and direction of regulation (some regulations appear to favor fintech firms, while others definitely appear to have protectionist qualities) the reality is that, regardless of the geographic region reviewed, the regulators pen will be the tectonic force that will shape the future of banking. Adding to this threat/opportunity, the direction of regulations is more open to change over time than ever before. As we reviewed the status of each of the 2016 retail banking trends and predictions, the vast majority of the projections made by the crowdsourced panel of financial services industry influencers are becoming a reality to some degree. At the forefront of most of the market movement is the desire to improve the customer experience and become a more digital organization. Unlike previous years, there seems to be a sizable number of organizations that are making advances on one or many of the projections. Interestingly, the largest and smallest of the organizations seem to be doing the best in most cases. This may be caused by either the amount available to invest in solutions (the larger organizations), or the ability to be more agile and move quicker (the smaller firms). Their success has been reflected in recent JD Power survey results that show customer satisfaction being highest for these two asset categories of financial organizations. This article was originally published on June 10, 2016 . All content © 2019 by The Financial Brand and may not be reproduced by any means without permission.